Home health and hospice without interoperability is a disconnected industry that results in incomplete care, incorrect reports, and the inability to efficiently receive care details from providers. There are also limited options or abilities to provide updates, assessment findings and trends to providers. It leaves no room for growth into more accountable care, which is why organizations are evolving into a connected future – and interoperability is helping them get there. 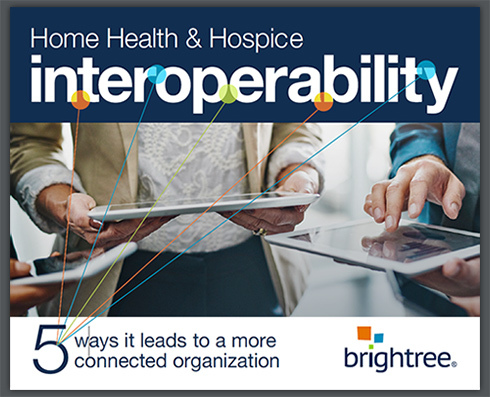 Read the white paper, “Home Health & Hospice Interoperability: 5 ways it leads to a more connected organization” to learn more.